Let's Jam with us at Bali Service Jam 2017! After 2 years break, we are back to organize Bali Service Jam 2017 together with the local community in the paradise island of Bali. 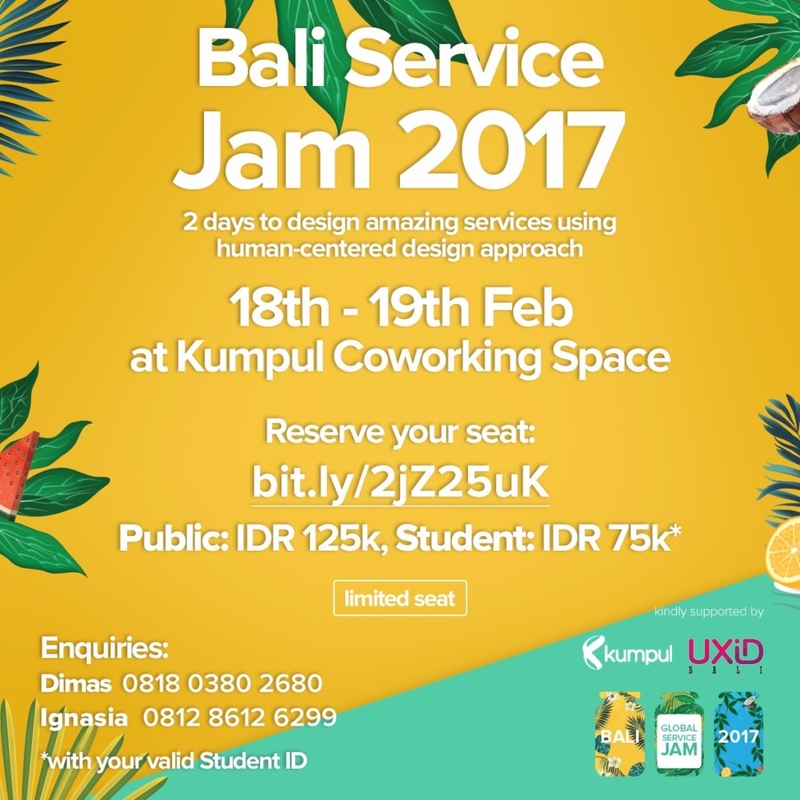 If you are in Bali, or planning for a gateaway trip to Bali and keen to meet new people and practice human-centered design approach to designing services, let’s jam with us at Bali Service Jam 2017! The Global Service Jam Bali will be a high-energy, collaborative & freeform event, in which some of the brightest minds and lovely folks in Bali (and even a few from further afield!) will get together to design new services in parallel with a whole host of jams across the world! Anyone can get involved, hope to see you there!